YTD through 2019-04-05, Askeladden Capital Partners LP returned in excess of +28% gross, and +24% net, versus a +17% gain for our benchmark, the S&P 1000 Total Return. Askeladden Capital Management also raised substantial additional capital, more than doubling total FPAUM since year-end. Our investor letter, available here, discusses recent performance, the evolution of our investment strategy, and important business updates. Here’s a spooky memo for Halloween: famous investor Howard Marks, of whom I’ve long been a big fan, is wrong. Not just wrong, in fact: he’s dangerously wrong, and I believe his new book, “Mastering the Market Cycle” is likely to damage – rather than improve – readers’ decisions. 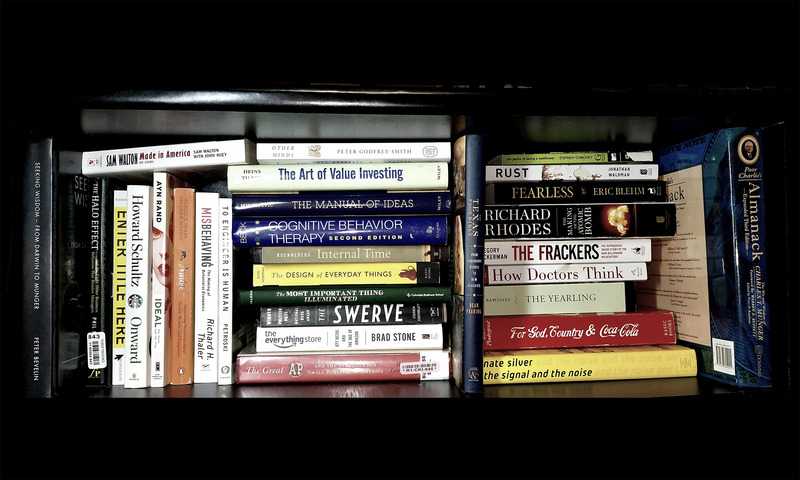 Before anyone jumps down my throat for having the impudence to criticize Howard Marks: I frequently cite “The Most Important Thing (Illuminated)” as the single most important book on shaping my investing philosophy, and I’ve long recommended it as a first read for aspiring value investors. I don’t cover investing books on Poor Ash’s Almanack, but if I’d reviewed The Most Important Thing, it would get seven stars – my highest rating. Nonetheless, even the best can get it wrong sometimes – – the behavioral literature strongly suggests Munger is wrong on 25/6, for example – and much as I respect Marks, I have to be blunt. His new book will, to use a Mungerism, cabbage up your brain. An investor has to learn to recognize cycles, assess them, look for the instructions they imply, and do what they tell him to do. If an investor listens in this sense, he will be able to convert cycles from a wild, uncontrollable force that wreaks havoc, into a phenomenon that can be understood and taken advantage of: a vein that can be mined for significant outperformance. It’s a seductive message, especially since Marks’s writing is as cogent, clear, and compelling as it usually is… but, as with most siren songs, succumbing to the temptation will most likely lead to us drowning. Like Odysseus’s crew, we should put on our earplugs to avoid the danger. The balance of this memo will explain why – using, of course, mental models drawn from the Poor Ash’s Almanack latticework. But most industries aren’t that cyclical, and most market environments aren’t so easily identifiable as bubbles or crashes. So let’s talk about the basic mathematics of these middle situations in more depth..
They’re dumb fake numbers, as Matt Levine might say, but they help illustrate a point. Cycles are terrifying up close! Our results (whether sales, retirement portfolio balance, what have you) were all the way up at 5 just recently… and now they’re down to 2. Eek. The problem, however, is that we’re just standing too close to see what’s really important. Richard Thaler has observed – in “Nudge” (Ndge review + notes), I believe – that the more frequently you check your investment portfolio, the worse you do, because (more or less) short-term volatility makes you forget about the long-term benefits of investing. When one zooms out, cycles become more or less irrelevant. See? Here’s that same equation, from a distance. What Marks gets wrong throughout the book is, ultimately, this very basic math. While my equation is fake and cycles are not that clean, predictable, and repetitive, the point remains valid: given any long-enough time horizon, the slope of the line (the secular trend) vastly outstrips the cyclical fluctuations. Globalization and American manufacturing: the financial crisis may have hammered in the final nail, but the coffin of the Janesville GM plant was built long ago. There is, to my knowledge, no discovered fountain of youth to make aging a “cyclical” rather than secular process. We’ll return to this in the investing context with some more specific examples (and math) momentarily. Broadly, though, in modern American history, no downcycle other than the Great Depression and its aftermath has ever had impacts that amounted to extended catastrophe. I fear that people may look back at the decline of 2008 and the recovery that followed and conclude that declines can always be depended on to be recouped promptly and easily, and thus there’s nothing to worry about from down-cycles. But I think those are the wrong lessons from the Crisis, since the outcome that actually occurred was so much better than some of the [other outcomes…] that could have occurred instead. And if those incorrect lessons are the ones that are learned, as I believe they may have been, then they’re likely to bring on behavior that increases the amplitude of another dramatic boom/bust cycle someday, maybe one with more serious and long-lasting ramifications for investors and for all of society. This isn’t a particularly helpful viewpoint. The 2008-2009 financial crisis is generally regarded as the worst in American history short of the Great Depression, and (as we’ll see in a moment), it had few lasting impacts for competent investors. If you think the world is going to end, I think we have bigger problems than our investment portfolios. Opportunity costs, in other words. Spending our lives assuming the Great Depression (or worse) is around the corner is sort of like being so much of a germophobe that you never leave the house. It’s smart to, say, wash your hands before eating, and to wear sandals if you’re taking a shower at the gym – but washing your hands every five minutes, or doing your best Bubble Boy impression, is overkill to the point of being detrimental to quality of life. Dose-dependency, again: some caution is good, too much defeats the purpose by resulting in net negative utility. “there are croakers in every country, always boding its ruin. Such a one then lived in Philadelphia; a person of note, an elderly man, with a wise look. This gentleman, a stranger to me, stopped one day at my door, and asked me if I was the young man who had lately opened a new printing house. Being answered in the affirmative, he said he was sorry for me, because it was an expensive undertaking, and the expense would be lost; for Philadelphia was a sinking place, the people already half bankrupt, or near being so; all appearances to the contrary, such as new buildings and the rise of rents, being to his certain knowledge fallacious; for they were, in fact, among the things that would soon ruin us. I use 10% as my standard equity cost of capital and target returns substantially higher (20% annualized); most banks and corporations also view 10% ROEs as a minimum acceptable level, and have substantially higher targets for actual results. The problem, then, with attempting to time the market, is that you’d better be damn good at it – otherwise you’re leaving a lot of money on the table. If you can consistently source and execute on investment opportunities with, say, a 12% return on equity, and reinvest proceeds at the same rate, you’ll have earned a tidy 40% in three years. One basic problem here is heterogeneity. What Marks fails to recognize and address is that the world has a massive positive carry – and, regardless of where the cycle might be, successful investing by business managers and investment managers is about identifying and deploying capital towards the highest-carry opportunities, which can often exist in interesting niches regardless of broader market conditions. Perhaps at Oaktree’s $100B+ AUM scale, securities are essentially homogeneous and they can’t really afford to pick and choose – but for the rest of us operating on a more pedestrian scale, this constraint doesn’t apply, and as such our focus should be on identifying the high-return investment opportunities, regardless of where we may be in the cycle. My friend and fellow investment manager Travis Wiedower goes into more depth on the topic of holding cash or not in a blog post from earlier this year, and his post (among other discussions with thoughtful investors) actually led me to lower my targeted cash position for the Askeladden portfolio. Still, it is clear that if you’d been able to identify a portfolio of 10 – 15 high-quality growth stories like the above, and purchased them all on January 1, 2007, notwithstanding the global financial crisis and even notwithstanding a huge correction that might happen tomorrow, you’d probably be pretty happy sitting here today. A similar bucket of “value” stocks is harder to identify and track over time, as the opportunity set turns over somewhat more rapidly (i.e. what is cheap today might not be cheap tomorrow.) But the same idea generally applies, and I believe similar results would have been achieved: regardless of the financial crisis, long-term investment CAGR since 1/1/2007 would have been more than acceptable for a competent and thoughtful investor, regardless of interim mark-to-market volatility. And that brings us to the second set of problems with Marks’s advice. Well, because. There’s a lesson my dad taught me young: nothing’s really free. Everything comes with a cost, a tradeoff. We’ve already talked about the tradeoff in a perfect world with perfect information (i.e. the opportunity cost of capital deployed), but Marks fails to account for the fact that you’re not always going to get it right with cycle timing. Unless you’re investing in highly leveraged companies in heavily cyclical industries (which is a separate margin of safety issue), a downcycle is not going to kill you. What will kill you, unfortunately, is missing out on an upcycle because you think you see a downcycle coming. And I’m not talking about multiple expansion or contraction here: I’m talking about the strong positive carry available to investors who can identify reasonable double digit IRRs (to say nothing of teens-twenties IRRs). There is a ton of execution risk here. Marks mentions, then proceeds to ignore, a giant hole in his theory: base rates. I have not yet personally met a single investor who successfully used a cyclical, market-timing component to improve their returns through a full cycle; while there are many famous success stories of people shorting MBS into the financial crisis and so on, many of these investment managers – Kyle Bass, John Paulson, etc – have since seemed to be the broken clocks that were right once. Marks sort of acknowledges as much at one point, talking about the general failures of “macro” investing… but that’s essentially exactly what he’s asking readers to do: add a “macro” top-down component to their bottom-up analysis. He tries, and fails, to make a semantic differentiation where none actually exists. Unfortunately, far too many otherwise smart people are seduced by something about macro. I don’t know what it is. Grandeur? Ego? The feeling of knowing some big secret nobody else knows? I’ve never understood it. But I have only ever seen macro “awareness” lead to bad results for most managers. You will not often see a performance chart uglier than this one. Hussman, sadly for Marks (and us), exemplifies the sort of approach that Marks is advocating. The odds change as our position in the cycles changes. If we don’t change our investment stance as these things change, we’re being passive regarding cycles; in other words, we’re ignoring the chance to tilt the odds in our favor. But if we apply some insight regarding cycles, we can increase our bets and place them on more aggressive investments when the odds are in our favor, and we can take money off the table and increase our defensiveness when the odds are against us. Specifically, the losses in the Fund in recent years can be largely traced to a single factor: our defensive response to extreme and persistent “overvalued, overbought, overbullish” features of market action. These syndromes had reliably warned of impending market losses in prior market cycles across nearly a century of history, but were virtually useless in the face of yield-seeking speculation provoked by the Federal Reserve’s unprecedented experiment with zero interest rate policy. Note that as of mid-2007, the green and blue lines in his chart (i.e. the actual hedged performance and hypothetical unhedged performance) were more or less overlapping – Hussman’s hypothetical $10K client, who would have had ~$20K or thereabouts at that time, would have $48.4K as of this summer if not for the attempts at market timing. That would have been a perfectly acceptable result since 2007 – not world-beating, but a high single digit CAGR compounded over ten years is nothing to sneeze at. Instead, thanks to Hussman’s attempts to time the cycle, they now have $11.2K – and this is the dark side that Marks doesn’t discuss. Again, Hussman is the extreme example of cycle-timing gone horribly wrong. With the caveat that I’m not sure how Hussman’s portfolio would perform in such a scenario, assuming that it’s market-neutral and would stay flattish, the S&P 500 would have to fall by something like 70 – 80% for Hussman to merely break even on his disastrous attempt at timing the cycle. Clearly that is not going to happen; while opinions on current market valuations vary widely, I doubt anyone but true deep-end conspiracy theorists thinks it should trade at 20% of what it currently does. There does not appear to be any plausible scenario where Hussman’s post-2008 attempts at cycle timing will ever end up being cumulatively additive to his investors’ returns. But I’ve seen it in other fund managers’ returns, too, albeit to a far lesser degree. Never once have I seen this sort of cyclical awareness successfully implemented over a full cycle – that is to say, some people sidestep danger because they’re congenitally cautious, while some people fully exploit boom times because they’re overly optimistic. Marks draws charts of what this looks like in his book, then suggests you can combine the two to meaningfully outperform. This is pure fantasy, as best i can tell. In fact, literally nobody I’ve ever met in the investment world has been able to, as Marks suggests, be aggressive at the right times and defensive at the right times as well. This includes people who I highly respect for their stock-picking abilities… it just seems that stock picking abilities don’t translate to cycle-timing capabilities. Marks claims that he’s able to time cycles successfully and that it’s been a big contributor to Oaktree’s returns. I am not going to dispute this claim because I’m sure he’s being honest in his assessment. But again, this may be an issue of trait adaptivity and selection bias. Howard Marks is obviously special. Nobody is questioning that. He deserves respect for what he’s been able to do, and he has mine. But that doesn’t mean the rest of us should try to adopt his investment style if we don’t have the tools to do so. It’s similar to the flaw of using elite athletes or Navy SEALs as role models for how we should go about our work and lives – there are plenty of fine heroes in our armed services who tried and failed to get into the SEALs and, undoubtedly, went on to have distinguished careers elsewhere. Hell Week selects for people who have the toughness to be SEALs; people who end up being SEALs most likely have many natural traits that are adaptive to success as a SEAL. You can’t then turn around and apply their practices to normal civilians; most of us would probably quite literally die if we attempted to do what they did. Howard Marks, similarly, has clearly been thoughtful enough to utilize an investment style which takes advantage of his gifts. And he gets to write the book about it because, well, he’s Howard Marks. That’s what people who read his book will see – they won’t see the survivorship bias issue of all the managers who have tried and failed to do what Marks has done. It’s like the story of Sanford Dvorin in Gregory Zuckerman’s “The Frackers” (frk review + notes) – who’s Sanford Dvorin, you ask? Well, as Zuckerman explains in a heartbreaking a/b story arc, Dvorin was almost a rich oil man like Aubrey McClendon or Harold Hamm. But he wasn’t, because his money ran out just before he would’ve struck it big with extremely valuable acreage. Today, he’s just another guy like you and me. Similar stories play out with all the entrepreneurs who max out their (and their mom’s) credit cards starting their business… it’s only the ones who turn into billionaires who get to write books. The ones who don’t? They only get to write bankruptcy paperwork. Let’s translate this theory into practical investment ramifications: one of the most important lessons I’ve internalized as a professional investor is that my goal is not to maximize theoretically achievable returns – that is to say, returns that could ideally be achieved in some fantasy land. Instead, my goal is to maximize practically achievable returns – what I can actually manage in the real world. Our intentional avoidance of any sort of non-obvious macro view (i.e., something not based on very long-term, very obvious base rates) prevents our trained-intuition bottom-up underwriting of individual stocks from being confused by irrelevant exogenous noise. I was fairly critical of Hussman in the previous section, so let’s throw him a bone. The way Charlie Munger tells it, maybe at least some of what Hussman was barking at made some sense. “This has basically never happened before in my whole life. I can remember 1½ percent rates. It certainly surprised all the economists. It surprised the people who created the life insurance industry in Japan, who basically all went broke because they guaranteed to pay a 3% interest rate. I think everybody’s been surprised by it, including all the people who are in the economics profession who kind of pretend they knew it all along. But I think practically everybody was flabbergasted. I was flabbergasted when they went low; when they went negative in Europe – I’m really flabbergasted. How many in this room would have predicted negative interest rates in Europe? Raise your hands. [No hands go up]. That’s exactly the way I feel. How can I be an expert in something I never even thought about that seems so unlikely. It’s new territory…. “I think something so strange and so important is likely to have consequences. I think it’s highly likely that the people who confidently think they know the consequences – none of whom predicted this – now they know what’s going to happen next? Again, the witch doctors. You ask me what’s going to happen? Hell, I don’t know what’s going to happen. I regard it all as very weird. If interest rates go to zero and all the governments in the world print money like crazy and prices go down – of course I’m confused. What’s the answer to the confusion? In a word, complexity. However, it’s touched upon by many of the books covered on this site, including Geoffrey West’s “Scale” (SCALE review + notes), and more importantly, several books by John Lewis Gaddis, both “The Landscape of History” (LandH review + notes) and “On Grand Strategy” (OGS review + notes). All three, by the way, are excellent books. The basic idea is that there are many phenomena which are highly subject to feedback effects. Two real-life examples include turbulence and traffic jams: the same number of cars on the same freeway at the same time on any given day could have widely varying outcomes, from a crawl to a nice flow, depending on how each driver chooses to respond to the actions of drivers around them. This makes such phenomena hard to model mathematically, because there’s so much uncertainty in the way that components of the system will interact with each other, in the future, and how dramatic an impact that can have on our outcome. It also, per the sort of neuroscience discussed in books like Laurence Gonzales’s “Deep Survival” (DpSv review + notes), means that it is extraordinarily difficult to have cogent intuition about such things – our brains are not well-equipped to handle this sort of load cognitively, let alone intuitively. The truth is that when it comes to the sort of macroeconomic cycles Marks is talking about, there are so many inputs – and so many outputs – that it seems unlikely that “in the middle” of the distribution, we’ll be able to accurately assess the probabilities often enough to do ourselves more good than harm. Nor, even with perfect data, would the right answer be apparent. Take a seemingly simple question: is a bank solvent? It’s not really a matter of simply running numbers on the balance sheet. Practically any bank, even a strong one, could become insolvent if all of its depositors, en masse, suddenly decided for some reason that it was insolvent. Conversely, banks teetering on the edge of solvency could find a way to fix the situation if depositors are blase and choose to go with the equivalent of “pretend and extend” – i.e., not make a run on the bank trying to get their money back, even if the bank seems to be in trouble. Throwing a further wrench into all of this is social proof – what one depositor does may well be highly influenced by what his depositor friend down the street does. So, you could have funny situations where, based on the largely unknowable and unpredictable decisions of the individuals involved, a reasonably well-capitalized bank could go under, while a reasonably poorly-capitalized bank could be fine, under the exact same economic circumstances. This is probably why Munger and Buffett have, as far as I’m aware, tended to take the approach of simply finding good swimmers, and letting the tide do what it may. Two Tylenol: Dead Headache. Twenty Tylenol: Dead Liver. Before I wrap up, I think it’s important to point out some caveats in favor of Marks. For example, there are path-dependency effects to starting your career in the middle of a downcycle, that can depress your long-term earnings. Indeed, it’s not so much that I disagree with all of his points; in fact, I think many are cogent and correct, and he does a great job with some of the analysis. Indeed, it would probably be a nudge in the right direction for the average retail investor who buys high and sells low. But most of Marks’s readers are far more sophisticated than that, and they’re already trying to be fearful when others are greedy. Such an approach is not new to his audience. So it’s more a problem of dose-dependency – an important mental model I discussed in my most recent investor letter. Some is good; more is not always better. At the extremes – say, the top and bottom deciles, that are easy to identify by simply looking around – it’s obviously prudent to buy low and sell high, and not terribly difficult to do so. If U.S. market indexes are at multi-year lows and nobody wants to buy any stock at any price, it’s probably a good time to buy stocks. Conversely, if everyone and their high school dropout neighbor are making tons of money with no real experience or skills – whether they’re buying some tech IPO circa 1998, flipping houses circa 2006, buying Bitcoins circa 2018, or blogging about 3D printing circa whenever that was – then it’s probably a good time to cash in your chips (in those asset classes). That said, most of the time, it isn’t so cut and dried whether there’s excessive optimism or pessimism. Continuing in favor of Marks, there are certain industries where there are, in fact, reasonably predictable cycles. Failing to understand these cycles can spell near-certain doom for investors. In October 2013, Kerrisdale Capital published an exhaustive research piece on publicly-traded Lindsay Corporation (LNN), one of the leading players in the oligopolistic market for “center-pivot irrigation” (used by farmers to increase yields). It was an impressive piece of research – Kerrisdale interviewed dozens of dealers in geographies as far-flung as Brazil and Ukraine, clearly demonstrating some deep industry insights on Lindsay’s competitive position. But the thesis didn’t work, and the research proved essentially irrelevant. It suffered from some of the problems with primary research I’ve discussed previously. I’ve often sent this LNN report to young aspiring value investors and asked them to see if they could find the flaw. Our… model… grows revenue by 15% a year until FY 2018, in-line with Lindsay’s historical rate. I’m not entirely sure how Kerrisdale came up with this analysis, but Lindsay’s long-term historical growth rate was nowhere near 15% per year – it may have been that for a short period of time during an upcycle, but agriculture suffers from a boom/bust dynamic where farmers, flush with cash during good years, buy lots of equipment… then massively cut back on spending when the rain gods are unkind and leave the fields parched. Given that [center-pivot irrigation] penetration was sub-35% (of total irrigation) [in 1995], and is around 50% today, how can you project a higher growth rate for [North American] equipment now than then? Notably, [per Lindsay’s annual report], irrigation sales in 1995 were $88.8 million (down from $94.3 million in 1994). Total irrigation sales in 2015 were $450 million. Admittedly, we’re at a trough and not a peak today, but that works out to about an 8% CAGR over 20 years by my math (including both U.S. and international). Even if you take 2013 numbers of $626 million, and use 18 as your denominator, you only end up with an 11% CAGR – far below the teens growth expectations many bulls were using. Specific numbers will obviously bounce around depending on how you pick your start and end dates. Still, I think this demonstrates that the long-term track record makes it very hard to project annualized teens growth going forward, unless [something] catalyzes more dramatic adoption. So, to the point Marks makes, in a sector like ag, it’s important to have some awareness of where you are in the ag cycle – if you start at a trough, and draw a line up to boom times, you’re going to get bad numbers that don’t represent the long-term trend. That said, Kerrisdale doesn’t deserve all of the criticism here – I deserve some too. Note as well that despite my best efforts, I whiffed in calling 2015 a “trough” – 2018 Irrigation revenues for Lindsay are merely ~$440MM, up from ~$420MM in 2016 and 2017, down from ~$450MM in 2015 and ~$540MM in 2014. Of course, agriculture is merely a limited case: at the other extreme, markets for goods like toothpaste and water are about completely acyclical. While some industries, like construction and mining, can be highly cyclical, most industries are more in the middle – but far closer to “acyclical” than “highly cyclical,” directionally speaking. So, as we discussed, the secular trend line (whether that’s company growth or total shareholder return from cash flow plus growth) vastly outweighs the impact of the cycle. There are other good points Marks makes as well – he has one about homebuilders that touches on n-order impacts; I discuss a similar point (with the example of retailers and customer personalization technology) in the zero-sum games mental model. Ultimately, though, the broader message of the book is flawed, and leads readers down a dangerous path. On an even more micro level, I’ve spent more or less my whole life in one of the wealthiest suburbs of the Metroplex – which went from being a farm town with cornfields (when my dad moved in about four decades ago) to a town with one grocery store (when my mom moved here roughly three decades ago) to a town with (gasp) two grocery stores, to a desirable suburb, to an extraordinarily desirable suburb. But the concept of things not always going up and to the right isn’t unfamiliar to me: my dad’s engineering career was, for most of my childhood, anything but up and to the right. Long story short, a number of factors (including repeated offshoring of the facilities he worked in) put us in a financial hole from time to time. Still, thanks to schema, I tended to view this as more of the exception to the general norm: my dad was the one exception among a sea of contradictory datapoints in my leafy suburb. It wasn’t until this summer, when I – for the first time – visited the Rust Belt, that I started to think a little more deeply about how and why things don’t always go up and to the right. There are parts of the world where my dad’s experience was not the exception, but the norm. Where things went down and to the right, down and to the right, and then down and to the right some more. A rusted railcar at the Soudan Underground Mine in Minnesota. No cycle is bringing this back to life. After coming home from my vacation, I read the book Janesville by Amy Goldstein, about the struggles of workers in one small Wisconsin town when the GM plant shuttered during the financial crisis – and, while that book wasn’t very good either, it did at least underscore some of the thoughts I presented here. If we do that, the cycles, like the tides, will wash themselves out over time. As long as we use a margin of safety in both our personal lives and business decisions – i.e., not, as Munger would put it, risking things we have and need for things we don’t have and don’t need – we’ll be just fine. Trying to time the cycle: that’s one of those things we don’t have, and don’t need. And we shouldn’t give up what we do have, and do need – i.e. the secular trend – in a fool’s errand to chase the cycle. Last month’s memo: If I disappeared… would you notice I’m not here?